The Bradley Center, which is the current home of the Milwaukee Bucks, was opened in October of 1988 at a cost of approximately $91 million. 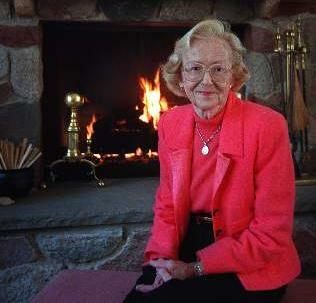 The cost of the facility was donated by Jane Bradley Pettit in memory of her late father, Harry Lynde Bradley, co-founder and chairman of the Allen-Bradley Company, which is how the name, Bradley Center, was derived. The Bradley Center represents one of the only NBA arenas that was funded through a private charitable gift. The owner of the Bradley Center is a state created corporation known as the Bradley Center Sports and Entertainment Corporation. Its tenants have included the Milwaukee Bucks (“Bucks”), the Milwaukee Admirals, the Marquette Golden Eagles, the Milwaukee Wave, and the Milwaukee Mustangs. The lingering question regarding a naming rights deal for the new Bucks’ arena is how much revenue the deal would bring to the team. 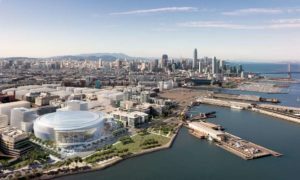 It is unclear how much money the new arena would command, but some project that the number may be from $40-50 million over a ten year period. 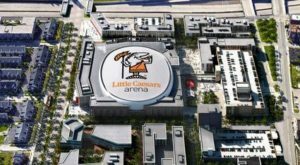 Given that the new facility would also serve as home to the Marquette University basketball team, the Milwaukee Admirals (minor league hockey), and numerous concerts and events, a potential sponsor may have to pay a higher fee than it would at an arena that only hosts one team. Given the heated debates regarding how the new arena will be financed, the income from a naming sponsor for the arena could be a great boost for funding. 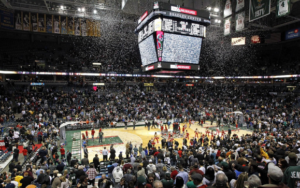 The Bucks, however will insist that naming rights revenue go to the team’s bottom line. Although Kohl has promised $100 million to finance the arena, he has refused to have his name on the arena, opening up another revenue source for the Bucks. With Kohl’s $100 million contribution, another $150 million from Edens and Lasry, and a potential $40-50 million naming rights deal, the Bucks would be getting much closer to finally building a new arena in Milwaukee. Most naming rights transactions occur between the team and the naming rights sponsor, and in most instances all of the proceeds from the naming rights belong to the team and not to the government entities that assisted in the financing of the new facility or the owner of the facility. This became somewhat of an issue prior to the time that the Bucks’ financing bill was passed by the Wisconsin State Legislature. I am supportive of building a new arena for the Milwaukee Bucks and for the potential that comes with it. The Bucks are an important part of our local and state economy, and I want them to remain in our city. However, I couldn’t support the arena deal without reducing the $400 million financial burden on taxpayers, much of which will be paid for by Milwaukee residents. This legislation put the Bucks and our community in a unique position to share not only the responsibility of constructing a new arena, but also in the opportunity that comes with it. Naming rights for the arena, valued by the Bucks at as much as $120 million over 20 years, presented a great opportunity for the Bucks to stand with their community and reduce tax dollars spent on this project. This bill would have had my vote if there was an agreement that returned half of any naming rights proceeds to the taxpayers. While I support the project, without this change I could not vote yes. The issue of the use of naming rights proceeds is often debated in that the public side, who will normally make a substantial contribution to the facility cost in the form of tax supported dollars, often seeks to share in naming right proceeds to offset their contribution. Meanwhile the team will normally want the naming rights proceeds to be considered revenue, and not part of the construction costs. However, the City of Milwaukee and the Bucks have agreed to split the revenue from any naming rights proceeds generated from the new parking garage. The City’s half of the revenue will go to “Common Ground,” and the organization will use the money to build playgrounds. 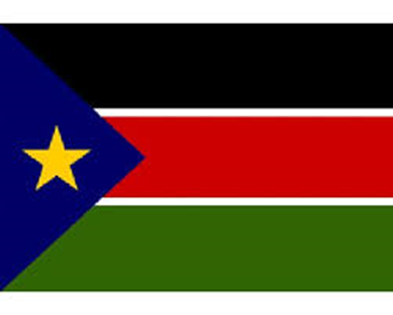 (A) During the Term and subject to the rights of TeamCo under the Team Agreement, in furtherance of Section 6.1 and without limiting ArenaCo’s rights under Section 5.3(A), ArenaCo shall have the exclusive right to sell, grant or license, and shall have the exclusive right to receive, allocate, use and distribute, in its sole discretion, all revenues from, all Naming Rights; provided, that the Arena Name shall not (i) be in bad taste or, at the time they are sold, licensed or granted by ArenaCo to an applicable third-party, a cause for embarrassment to the District or (ii) include any companies known for tobacco products, guns, adult entertainment or marijuana or other non-pharmaceutical drugs; provided, however, that the Parties acknowledge that the Arena Name shall not be deemed to violate clause (i) because it is related to a casino unless such particular Arena Name is otherwise in bad taste or a cause for embarrassment. (B) Promptly after entering into a Naming Rights Agreement with respect to the Arena Name, (i) ArenaCo shall notify the District thereof, which notice shall include the name of the party with which the Naming Rights Agreement is entered into and, if then known, the Arena Name and (ii) make available to the District a copy of such Naming Rights Agreement. Following receipt by the District of notice from ArenaCo of the determination of the Arena Name, the District shall use its commercially reasonable efforts to use the Arena Name in all correspondence, communications, advertising and promotion that the District may undertake with respect to the Arena, including in connection with District Events. 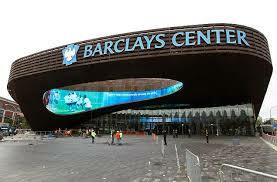 All NBA arenas have names, the lone exception is the home of the New York Knicks – Madison Square Garden. The above numbers have been reported in the press, but have not been verified through document review. 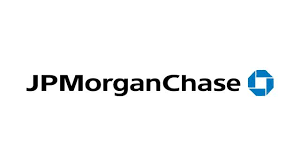 It was announced in January of 2016 that JP Morgan Chase had named the new Golden State Warriors Arena in San Francisco’s Mission Bay area the Chase Center. Sources said the naming rights deal was valued around $15 to $20 million annually over a twenty year period. In 2016, Billboard Magazine ranked the arena 8th in the nation and 13th worldwide among top-grossing venues with a capacity of over 15,000. 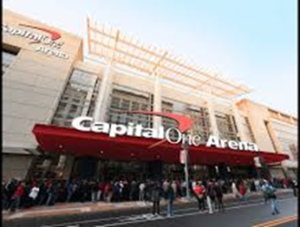 According to reports from the DowntownDC Business Improvement District, the arena has been responsible for redevelopment estimated at $9.2 billion within a seven- block radius, and has created more than 58,407 jobs since it broke ground in October 1995. The details of the agreement between Capital One Financial Corp. and Ted Leonis owned Monumental Sports and Entertainment were not disclosed, but Bloomberg reported the naming rights deal to be worth $100 million over ten years. The Menomonee Falls-based owner of Kohl’s department stores is the only publicly traded company on my list. Kohl’s (NYSE: KSS) makes sense as a nationwide consumer brand with a large advertising budget. The reason for excluding others such as Johnson Controls Inc. (NYSE: JCI), Harley-Davidson Inc. (NYSE: HOG) and Rockwell Automation Inc. (NYSE: ROK) is that they probably could not justify concentrating that much of their advertising/marketing budget on the 35th-largest media market in the country. Despite that, I wouldn’t entirely rule out Johnson Controls. My favorite candidate for a couple reasons. I just visited Columbus, Ohio, for a package of stories and blogs on the impact of Nationwide Arena on new development there. 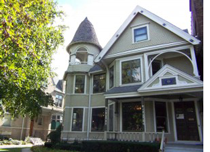 Milwaukee-based Northwestern Mutual, like Nationwide, is a mutual company with a major commercial real estate arm. Also, Northwestern Mutual has invested heavily in recent years in sports-related advertising, including NCAA tournaments and the PGA. Speaking of the PGA, the toilet-and-bathroom facilities maker to our north has invested heavily in golf courses on the Sheboygan County Lake Michigan shoreline. 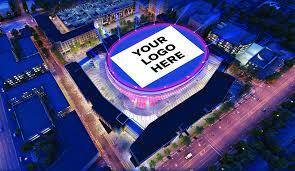 How about sending a few million dollars south to a new arena in downtown Milwaukee? The toilet jokes would hurt but we would get over it. 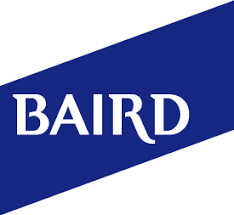 Employee-owned financial firm Baird has grown its national profile, especially since the Great Recession, and the Milwaukee-based company would benefit from additional nationwide exposure for future Bucks playoff appearances and Marquette national telecasts. The Michigan-based retailer started advertising at Miller Park more than a year before opening its first metro Milwaukee stores. Meijer is rapidly becoming a major local sponsor with new deals at Wisconsin State Fair and other southeastern Wisconsin attractions. This is the least exciting possibility because the Chicago-based, Canadian-owned bank already holds the naming rights at the Bradley Center. BMO Harris would have to significantly increase its financial commitment — which certainly is $2 million or less — to retain the naming rights at a new arena. Hon Hai Precision Industry Co., Ltd., trading under the name Foxconn Technology Group, is a Taiwanese multinational electronics manufacturer headquartered in Tucheng, New Taipei, Taiwan. Foxconn is the world’s largest contract electronics manufacturer, manufacturing products for Apple, Sony, and Dell, to name a few. They are one of the world’s largest employers coming in at number ten and employing around 1.5 million people worldwide. With the announcement that Foxconn would build a new manufacturing plant in Mount Pleasant, Wisconsin, the company became a prime target for a potential partnership for naming rights with the Bucks. It was reported that Peter Feigin (Feigin), President of the Bucks met with Foxconn officials in July of 2017 to discuss a partnership. “We’re looking at an unbelievable technology platform that we can work on, there’s certainly a partnership, and I think in the overall umbrella, is how we do grow Wisconsin together, and we’re certainly on that track to grow and accelerate where we’re going jobs-wise,” Feigin said. Feigin attended the September 18, 2017 bill signing and reiterated afterwards that the Bucks and Foxconn were looking at a “long-term” partnership for the team’s new downtown arena. Feigin went on to indicate that “[w]e’re both beyond eager. We probably talk and meet every week. We’re going to meet this week.” “I think, hopefully, you’ll hear about the integration of technology, a partnership and a sponsorship for the arena and a long-term relationship.” Feigin said the discussions with Foxconn centered around signage, screens, televisions and data centers at the new arena. 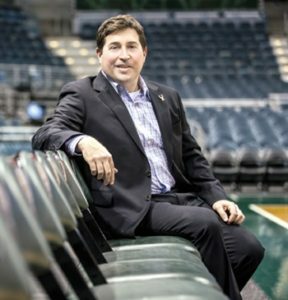 On November 22, 2017 it was reported that Feigin and the owners of the Bucks had stepped back and worked to reset their search for what will ultimately be their most important business partner. This switch in strategy came after the Bucks “had several prospects close to signing, only to lose them at the 11th hour.” It was further confirmed that Foxconn was no longer in the running as a naming rights partner. 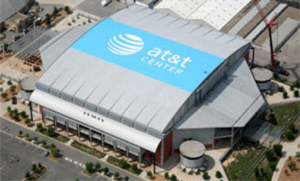 Feigin stated that the naming rights proceeds are budgeted for funding arena operations. 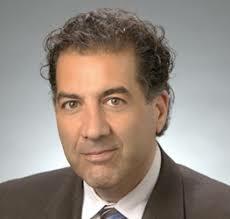 On October 9, 2017, Feigin appeared on CNBC’s early morning show, “Squawk Box.” “On CNBC, Feigin put the naming rights price at $7 million to $10 million a year for 20 years. He said the building won’t bear the name of a locally based company. ‘It’s not a local deal,’ he said.” Feigin’s appearance continued with a discussion regarding the global prowess of NBA basketball around the world and its appeal to an international audience. 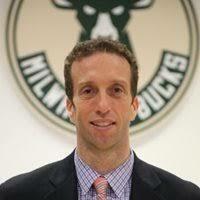 Sports marketing economist Andrew Zimbalist of Smith College believes the Bucks’ team is asking for too much money. “Consumer demographics are shifting and media distribution is changing. 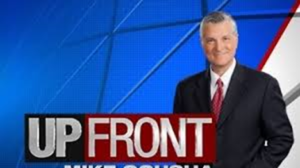 Together, they appear to be lowering the returns on franchise-connected advertising,” said Zimbalist.He said it was more difficult for the Bucks because Milwaukee is in such a small market. 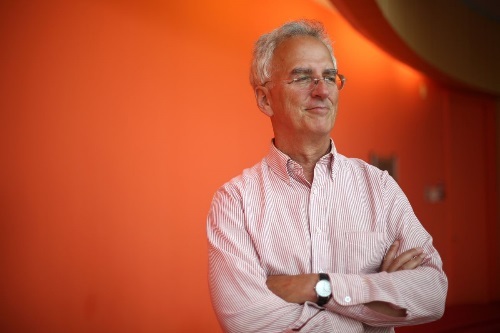 “Twenty years at $7 to $10 million (a year) is simply too long and too rich,” Zimbalist said. 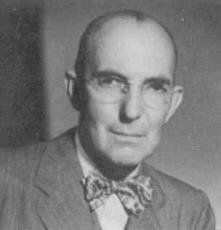 He further stated that “[t]wenty years at $7 to $10 million (a year) is simply too long and too rich” for a small market like Milwaukee, which makes the deal more difficult. Forbes Magazine released its 2018 NBA Team Valuations wherein the Bucks have been valued at $1.075 billion, a 37% increase from the last valuation. The value of the team has nearly doubled since Marc Lasry and Wes Edens purchased the team from Senator Herbert H. “Herb” Kohl in 2014. 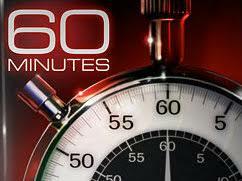 Giannis Antetokounmpo (Antetokounmpo) was profiled on the March 27, 2018 airing of 60 Minutes. “[H]is size and his coordination that intimidate. He has a wingspan of 7’3″. 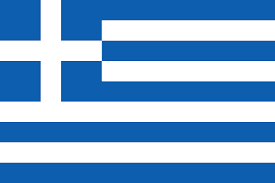 Antetokounmpo described his life in poverty in Athens as “tough. [They] didn’t have a lot of money. But [they] had a lot of happiness. 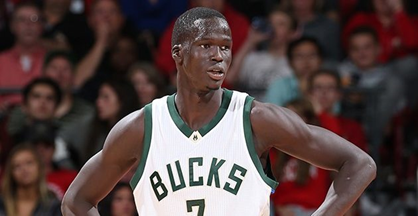 And his hands, which are a foot long, are thought to be the largest in the league.” Upon his drafting into the NBA, Antetokounmpo stated: “I was so excited. I was like you guys gotta go get my brother. Thanasis came, gave me a hug. We started crying. We just knew our life changed at that moment. 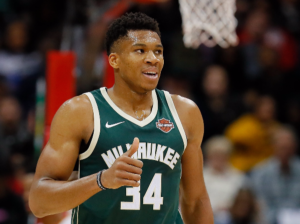 From now on, our family gonna have a better future.” Feigin states “Milwaukee may be a small city by NBA standards but Giannis has put it on the world map, giving it a marketing foothold in the global basketball business.” Feigin also described Antetokounmpo as an international icon who transcends markets. 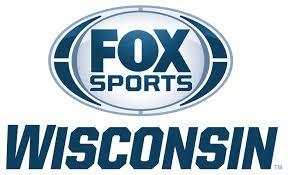 In June of 2018 it was announced that Fox Sports Wisconsin and the Milwaukee Bucks had agreed to new seven year TV contract worth more than $200 million. 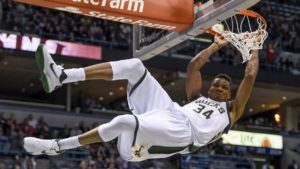 “Fox Sports will pay the Bucks $26 million next year, up from a payout in the low $20 million range last season.” The auspicious timing of this deal worked in the Bucks favor as Antetokounmpo has reached superstar status and has helped lead the Bucks to the playoffs the past two seasons. 2. Allocation of Project Costs. The total Project Costs to complete the Arena and the Parking Facilitates are currently estimated at $524,000,000. Subject to the terms of this agreement, the City Disbursement Agreement, the Contribution Agreement and the Pledge Agreement: (a) the District shall pay for $203,000,000 of Project Costs for the Work (the “District Commitment”); (b) the City shall pay for (i) $35,000,000 of Project Costs for the Parking Facilities Work, and (ii) $12,000,000 of Project Costs for the Work related to the Public Plaza (collectively, the “City Commitment”); provided, however, if actual final Project Costs for the Parking Facilities Work of the Work related to the Public Plaza are less than these amounts, the remainder may be used as provided in the City Development Agreement; (c) the District shall use the Kohl Commitment received by the District pursuant to the Contribution Agreement and as a result of the Pledge Agreement to pay for $100,000,000 (net of any GMF Reimbursed Amount paid by the District and without taking into account any default interest paid with respect to the Kohl Commitment as set forth in Section 7.2.3) of Permitted Arena Costs; and (d) ArenaCo shall pay or cause to be paid for all Project Costs that exceed the District Commitment, the City Commitment and the Kohl Commitment (the “ArenaCo Commitment”). The ArenaCo Commitment is currently estimated to be at least $174,000,000. For the avoidance of doubt, the aggregate of the District Commitment, the City Commitment, and the Kohl Commitment (net of any GMF Reimbursed Amount paid by the District and without taking into account any default interest paid with respect to the Kohl Commitment as set forth in (Section 7.2.3) is the maximum amount of funds required to be contributed by the District (on its own behalf), the City and the District (solely as in its capacity of coordinating the disbursement of the Kohl Commitment hereunder), respectively, for Project Costs, without regard to whether total Project Costs exceed the estimate, but subject to Section 11.3 of the Development Agreement. The Bucks have also been able to announce new minority partners. 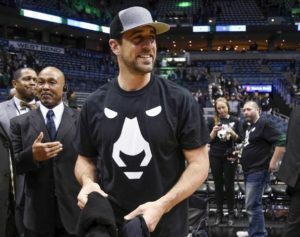 In April of 2018 it was reported that the Green Bay Packers’ Quarterback, Aaron Rodgers bought a minority stake in the Bucks. 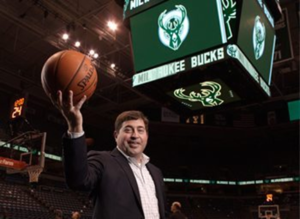 Bucks ownership is quoted as stating: “Aaron is a winner, a Wisconsin icon, and we are honored to welcome him to our partnership group of the Milwaukee Bucks. [. . .] it’s an exciting time for this city and the Bucks. 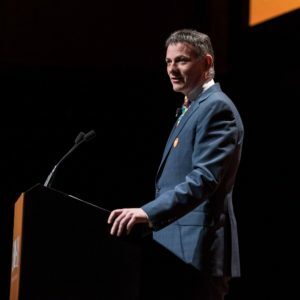 We are thrilled for Aaron to be with us.” In July of 2018, it was also announced that Greenlight Capital Founder & President, and Milwaukee area native, David Einhorn was also a minority investor who has remained silent, until now. Sports venues have become a catalyst for urban transformation or revitalization. A sports facility is a destination place, an entertainment district, a bundling stimulus, a real estate development, and a place where people can work, eat, watch, congregate, buy, and socialize. Sports facility development is nothing more than real estate development. If constructed thoughtfully, a sports facility could convert the image of a league or team owner from a tax vulture into a long-term leader and visionary for a community. Moreover, a newly constructed or renovated venue can bring complete renewal and revitalization to blighted areas, environmentally hazardous sites, aged communities, or near-downtown areas. Real estate development has become a central component of sports facility development, and the results thereof—urban revitalization and transformation—may be as important as the building of the sports facility itself. It’s a complete transformational economic development. What people don’t realise [sic] is this is a 30-acre development. The arena is about seven of the acres, of which we’re in construction a little bit over 65 per cent of the land. Incremental tax generation, job creation, building of retail and residential and commercial and entertainment spaces – it’s a much bigger ecosystem than just the arena. The arena, for us, is the catalyst. How do we create this awesome great magnet, and how do we redefine sports and entertainment in the capital of Wisconsin, make it a destination and, once we have that, make it experiential and terrific so that people want to stay there and come back? 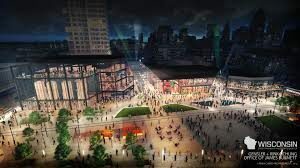 The Bucks arena and real estate developments will have a transformational effect on the City of Milwaukee and will create density and activity over a 365 day period. What the Bucks have planned is not totally known, but what is known is a plaza, a live block, a training and medical facility, residential living, a planned corporate headquarters, and many more improvements that will make the Bucks Entertainment District a first choice priority for people to live, eat, play, entertain, and work. Therefore, the cost of naming rights is not simply for a sports facility, it is for an Entertainment District that has become a centerpiece and destination place for Wisconsinites and tourists alike. The Entertainment District itself will be developed over a three to five year period and won’t be complete until after the arena opens in the Fall of 2018.The naming rights value improves exponentially by virtue of the Entertainment District concept. 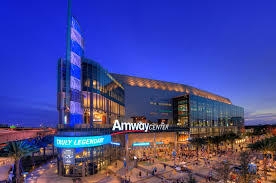 The Bucks organization understands that the value and bottom line of naming rights may be enhanced by requiring the naming rights partner to become a business partner, by requiring the naming rights partner to make a long term commitment to the community, and by requiring the naming rights partner not only to name the arena, but the Entertainment District which identifies the city in which the team plays. 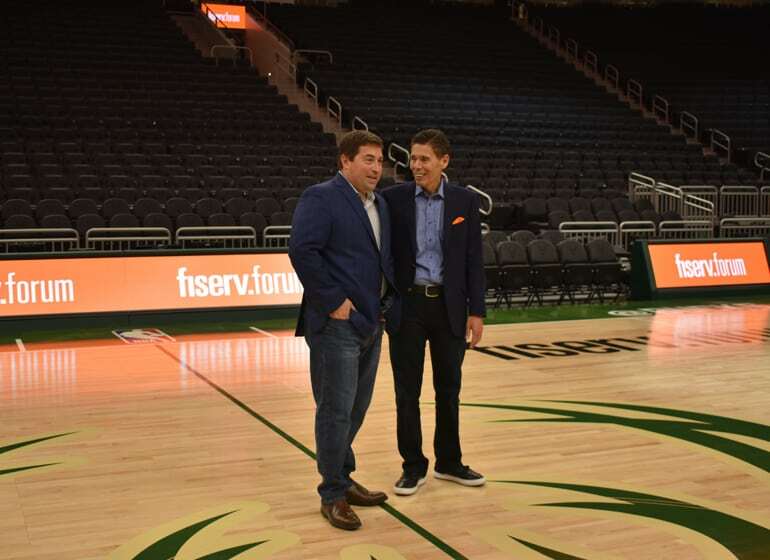 It was announced on July 26, 2018, that Fiserv Co. would become the new naming rights partner of the Bucks for the arena and Entertainment District. 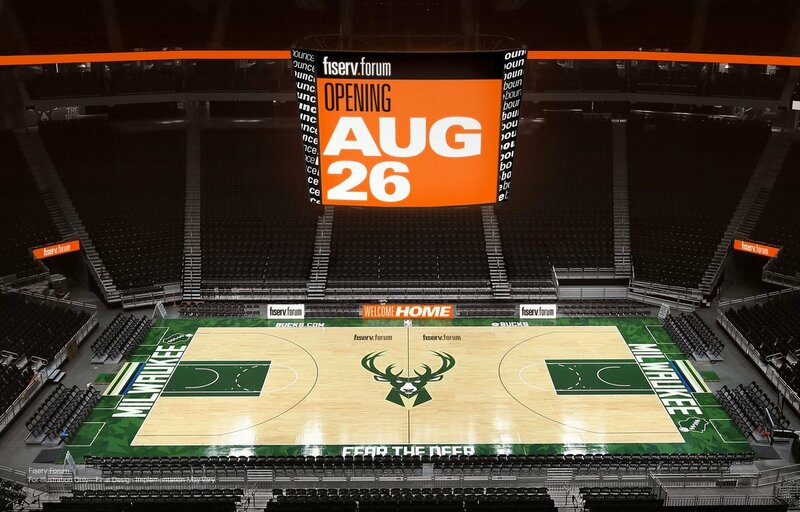 It was reported that Fiserv Co. will pay an unreported amount for the 25 year deal and that the new arena will be named Fiserv Forum. “Milwaukee is our home. 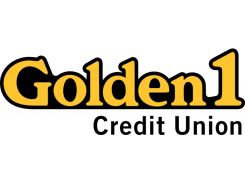 We have deep roots here,” said CEO Jeffery Yabuki (Yabuki). 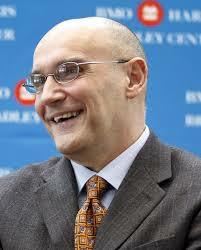 “Yabuki described the partnership with the Bucks as part of a ‘transformation’ of the company. ‘It’s not just about technology, it’s about life.’” Fiserv, a Fortune 500 company worth approximately $31 billion, is “largely unknown to consumers,” but its technology is utilized by “banks, merchants and billers to transfer funds and allows customers to check their balances online. 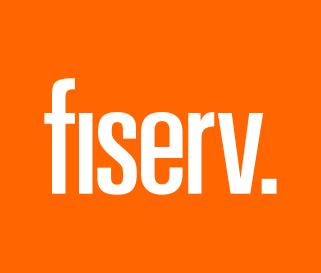 Fiserv has a corporate headquarters in Brookfield, Wisconsin where they employ approximately 900 people, and employs more than 24,000 worldwide. It is common with these forms of sponsorship agreements that the public is given information relative to a term of years and an estimate of annual value, although the financial package is often undisclosed. 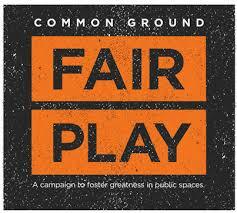 Naming rights are private agreements, not subject to open records laws, public viewing, nor disclosure. The private agreement tells the economics. 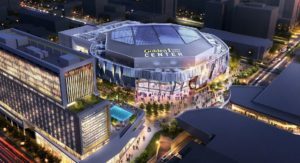 Not much of the details of the terms and economics of recent naming rights deals (Golden I Center in Sacramento, Capital One Arena in Washington, and Chase Center in San Francisco) have been disclosed. “[B]oth the Bucks and Fiserv executives declined to reveal financial terms.” It was reported by the SportsBusiness Journal in May of 2018 that the two parties “were working toward a deal with an average price of $6 million per year” which was not confirmed by either party. To compare “apples to apples,” a true economic analysis of the naming rights package would require: (1) the value of the naming rights benefits; (2) the term; (3) the payment schedule and interest factor; and (4) a present value calculation. This format of analysis would give a more accurate calculation of the “true economic value” of the naming rights package for comparison purposes. The $21 million, 3,600-seat arena is being constructed on the south side of Oshkosh and is set to be opened in time for the team’s first home game Nov[ember] 17[, 2017]. 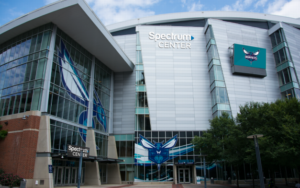 The city is expected to spend about $4.8 million in infrastructure improvements in connection with the arena project. 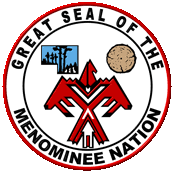 The new arena will be called the Menominee Nation Arena and feature the thunderbird, an important part of the tribe’s history. In addition to basketball games, the building will be available for concerts, conventions and other gatherings. 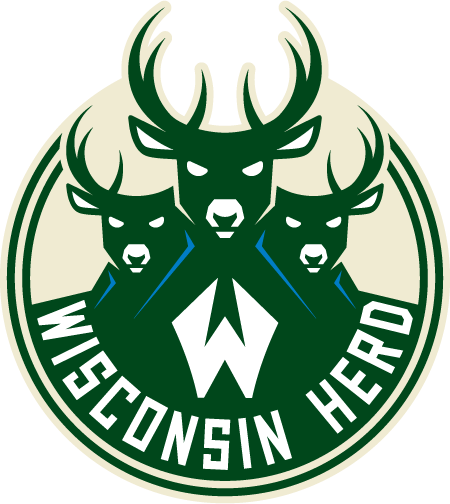 The Herd is the G League, or development league, expansion team for the Bucks. The arena is the first constructed for a G League team, the Bucks say. Thank you to my paralegal/legal assistant, Danelle Welzig, for her assistance in writing and editing this article. Danelle has been a paralegal for over fifteen years in the areas of construction, real estate, and sports law. BMO Harris Bradley Center, https://www.bmoharrisbradleycenter.com/arena-info/arena-highlights (last visited on October 11, 2017). Wikipedia: Bradley Center, https://en.wikipedia.org/wiki/Bradley_Center (last visited on October 11, 2017). Wisconsin Senate Bill. § 229.461(3)(c) (2015). Id. § 229.461(3)(c); Rich Kirchen, Bucks Would Sign 30-year Arena Lease, Collect All Event Revenue: Fiscal Report, Milwaukee Business Journal (Jun. 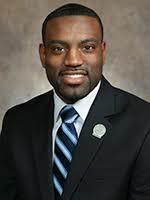 29, 2015), emphasis added, http://www.bizjournals.com/milwaukee/news/2015/06/29/bucks-would-sign-30-year-arena-lease-collect-all.html. Arena Lease, Management and Operation Agreement, April 13, 2016, on file with author. Staff Writer, supra note 46. James B. Nelson, Milwaukee Bucks Shifts gears and slows down in high stakes pursuit of arena naming rights partner, Journal Sentinel, November 26, 2017, https://www.jsonline.com/story/news/local/milwaukee/2017/11/22/milwaukee-bucks-shift-gears-and-slow-down-high-stakes-pursuit-arena-naming-rights-partner/884187001/. Rich Kirchen, Foxconn ‘probably not’ Bucks arena naming rights sponsor: Feigin, Milwaukee Business Journal, October 30, 2017, https://www.bizjournals.com/milwaukee/news/2017/10/30/foxconn-probably-not-bucks-arena-naming-rights.html. Rich Kirchen, The Wisconsin companies claiming they won’t be Bucks arena naming right sponsor, Milwaukee Business Journal, April 24, 2018, https://www.bizjournals.com/milwaukee/news/2018/04/24/the-wisconsin-companies-claiming-theywont-be-bucks.html. Terry Lefton, Fiserv Closing in on Landing Naming Rights to Bucks’ New Arena, Sports Business Journal, May 31, 2018, https://www.sportsbusinessdaily.com/Daily/Issues/2018/05/31/Facilities/Bucks.aspx. Arena Finance, Funding and Construction Funds Escrow Agreement (April 13, 2016). Rich Kirchen, Construction starts soon on Bucks arena plaza, Milwaukee Business Journal, September 1, 2017. 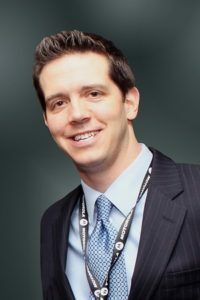 Nelson, supra note 101; Nick Williams, Fiserv naming rights deal strengthens Milwaukee’s profile as tech hub, expert says, Milwaukee Business Journal, Jul. 27, 2018, https://www.bizjournals.com/milwaukee/news/2018/07/27/fiserv-naming-rights-deal-strengthens-milwaukees.html. Mark Kass, How the Bucks/Fiserv deal compares with some other NBA naming rights agreements, Milwaukee Business Journal, Jul. 26, 2018, https://www.bizjournals.com/milwaukee/news/2018/07/26/how-the-bucks-fiserv-deal-compares-to-some-other.html. 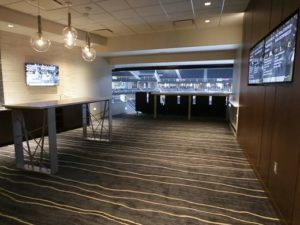 James B. Nelson, Miller, Leinies and Coors Light themed bars coming to new Milwaukee Bucks arena, Journal Sentinel, February 22, 2018 https://www.jsonline.com/story/sports/nba/bucks/2018/02/22/miller-leinies-and-coors-light-themed-bars-coming-new-milwaukee-bucks-arena/355227002/.